The Flatev homemade tortilla maker got some grumbles for its cost (likely $300 for the machine and $1 each for the tortilla pods) and true necessity as a kitchen gadget. 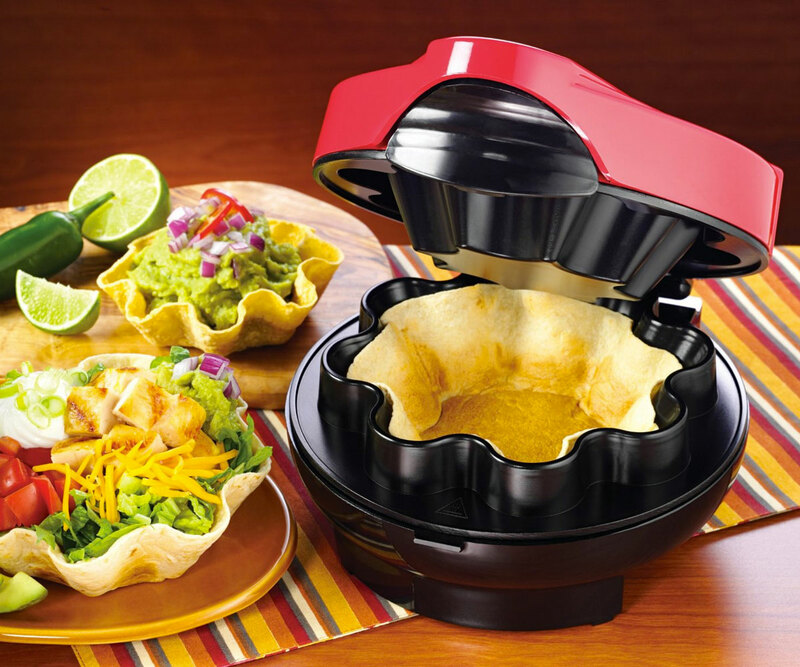 So here's something way cheaper and probably way more useful as a DIY culinary tool: a tortilla shell maker. Craft your own flour and corn discs with the Flatev or buy them pre-pressed and cooked from the ethnic foods aisle, and then use this simple Nostalgia Electrics gadget to shape and crisp the flaccid Mexican bread into perfect Mexican taco salad holders or edible Yamakas. A pretty good deal, I think, as tortilla bowls aren't as readily available at the grocery store, and those that are always seem to be at least 30% broken. 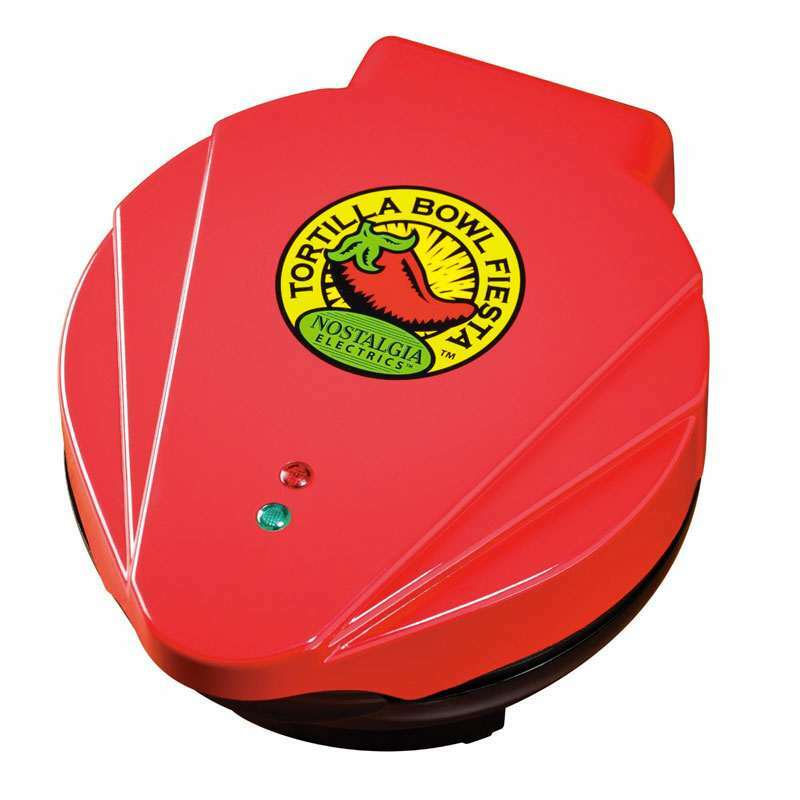 The Nostalgia Electrics tortilla bowl maker has a non-stick surface that curves and crimps any store-bought corn or flour tortilla in 3 to 5 minutes. 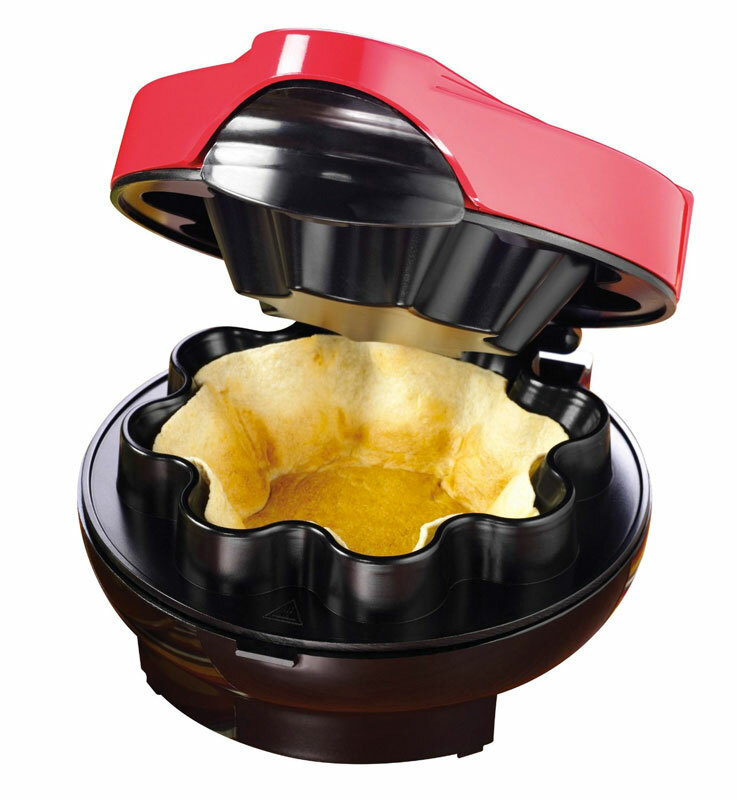 In addition to salads and heads, the bowls can accommodate dips, appetizers, and desserts.